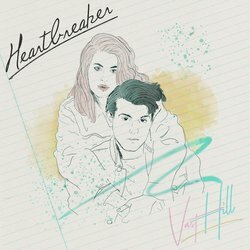 Sydney’s dream-pop outfit, Vast Hill focuses on delivering a perfect blend of retro synth sounds and memorable melodies. Taking influence from stellar bands such as Electric Youth, The Cranberries and The Human League the sounds evoke something familiar yet offer something new at the same time. After releasing their first collaborative EP titled “The Win” with popular synth artist JORDAN F, the duo has dived in head first on a full-length feature album. Spending the last year focusing on their upcoming debut LP, Vast Hill has crafted a concept album detailing the rise and fall of a fleeting romance set in a small town full of secrets. A dream team has brought this vision to life - with the likes of FROYOs Michael Chow producing, and Australia’s own Luke Million mixing, coproducing and adding more energy! Making sure to utilize their roots, Vast Hill’s live sets consist of a full dressed to impress ban. Staple shows in the past include two SOLD OUT shows at The Oxford Art Factory.